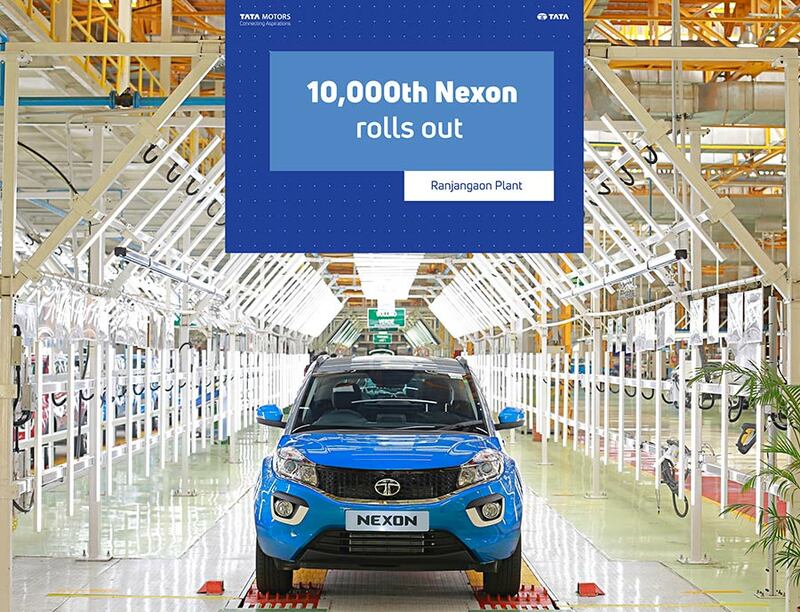 Tata Motors rolls out its 10,000th Nexon from the Ranjangaon facility. The NEXON which is the company’s fourth iteration of the IMPACT design philosophy, is a Lifestyle Compact SUV, targeted at the young at heart. The NEXON comes equipped with LEVEL NEX Design, Performance, Technology and is a true game-changer in the PV market.